Home » BJJ Belts & Promotion » How can I get my BJJ black belt faster? Speaking as a black belt, I’ve got to ask: What’s the rush? If you’re a beginners and you’re already itching for your black belt, I applaud your enthusiasm, but don’t get ahead of yourself. I can tell you from firsthand experience, the black belt doesn’t grant magic powers (I wish it did). Each belt has its purpose, and you should enjoy your time at each. Don’t worry about the speed of each promotion, but the quality of your experience and learning process along the way. The path to black belt is long, usually taking a decade or so. No advice is going to give you a straight route to take to your black belt. You will have to negotiate the twists and turns yourself. Broaden and deepen your knowledge. Gain new skills and refine old ones. Redefine your purpose for BJJ as you get older and your life changes. Achieve what you want at each belt level (such as winning medals). Sharpen your mind and take care of your body. Be an asset to your gym’s culture and your teammates. Appreciate simple and effective techniques. Look for underlying concepts that unite everything. Show up to class and train hard. Of those, the last one is most important for BJJ. Train more, and stay healthy so that your training is not interrupted. That’s the secret. Drilling will help. So will private lessons. And conditioning may even help to some degree. But really, going to class as often as you can and giving it your best every class is the only surefire way to accelerate your progression. 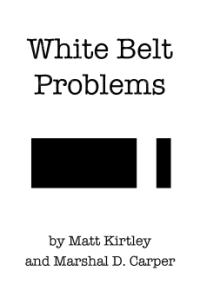 Unfortunately, we talk about the progress to black belt in terms of years, but that is an oversimplification. For example, we talk about how “fast” BJ Penn got his black belt (three years), but when that story is told a key detail is often omitted: Penn trained fulltime, some six to eight hours a day. Compared to a student that trains a few times a week, has a job, and has a family, Penn covered as much training time in a day that a more normal person might get in a week. Calculate that math out over a year, and the difference in training hours is astronomical. Instead of worrying about the time it will take to get your black belt, focus on being better today than you were yesterday. The black belt will come in time.